The Fall Flavours Festival team were in downtown Toronto today to celebrate the festival’s 10th anniversary and announce the 2017 Signature Event and celebrity chef lineup. On hand were celebrity chefs Chuck Hughes, Corbin and David Rocco to help celebrate this announcement. Visitors were treated to delicious Island flavours including PEI Mussels, Oysters, Beef-Sliders, Island potatoes and a live performance by Prince Edward Island fiddler, Richard Wood. New to the all-star lineup this year are celebrity chefs David Rocco and Danny Smiles who are joined by fan favourites Chuck Hughes, Lynn Crawford, Mark McEwan, Vikram Vij, Corbin Tomaszeski and PEI’s own Michael Smith. Proudly presented by Sobeys and hosted by Canada’s Food Island, Fall Flavours takes place at locations across Prince Edward Island from September 1st – October 1st, 2017. 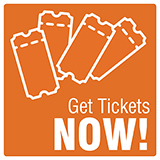 In addition to the eleven Signature Events, the festival features Culinary Events, Culinary Adventures, special Restaurant Dining and, new this year, Taste of Coastal Communities events. Set in some unexpected seaside venues, these charming experiences will feature the best from the Island’s towns and villages that sit by the sea. Stay tuned as details and events to be announced mid-June. 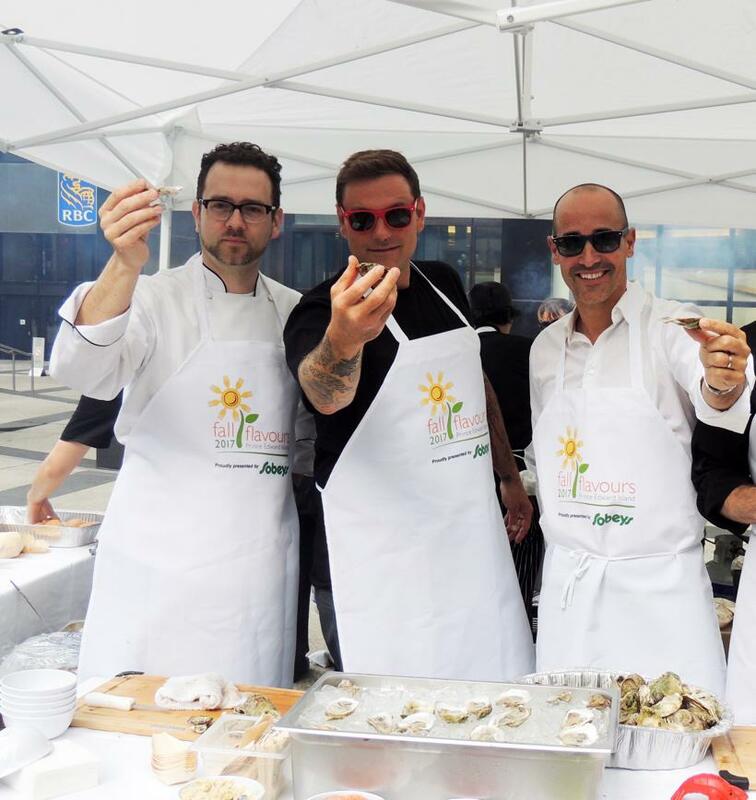 Chef Corbin, Chuck Hughes and David Rocco handing out oysters in downtown Toronto to celebrate the launch of The Fall Flavours Festival taking place on PEI in September.